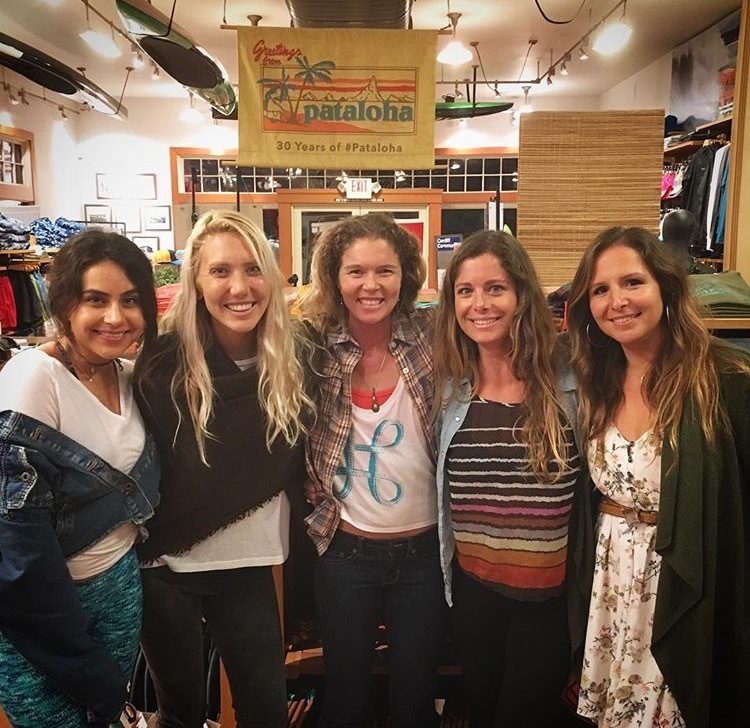 Patagonia Honolulu Event with these amazing ladies: Lauren Bosworth, Jen Homcy, Ashley Lukens, and Haunani Kane. Thanks for the photo Austin Kino! Last year, Patagonia contacted me about participating in a series of events about ‘women in activism’. I felt excited. To me it meant that I was being recognized as an ‘activist’ for the planet because of the choices I’ve made in my own life to cause less harm and use my voice to spread awareness about environmental issues. They gave me the liberty to shape some events to share my own ‘journey to activism’. 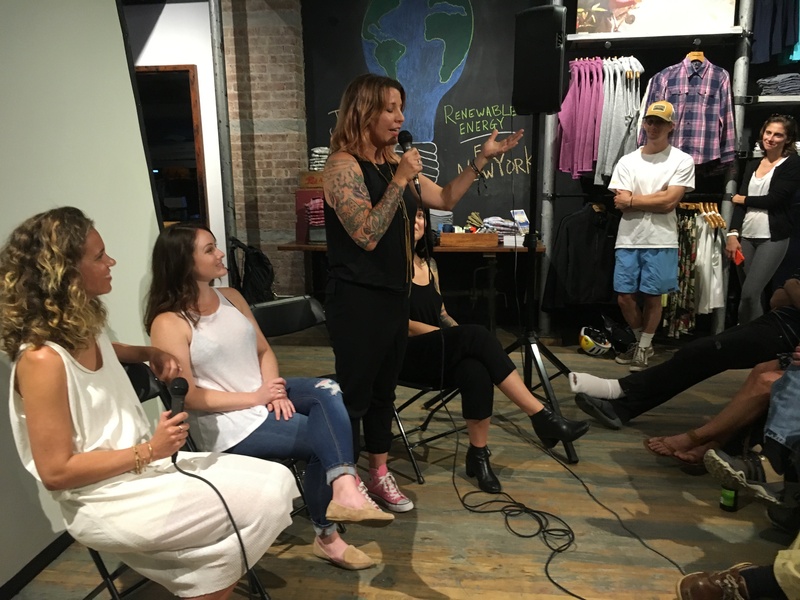 I decided to also celebrate the lives and choices of other women living passionate lives for a better world too, and invited ladies local to each venue in Hawaii, Santa Monica, Cardiff, Atlanta, and New York City to come talk a bit about their ‘journeys’. 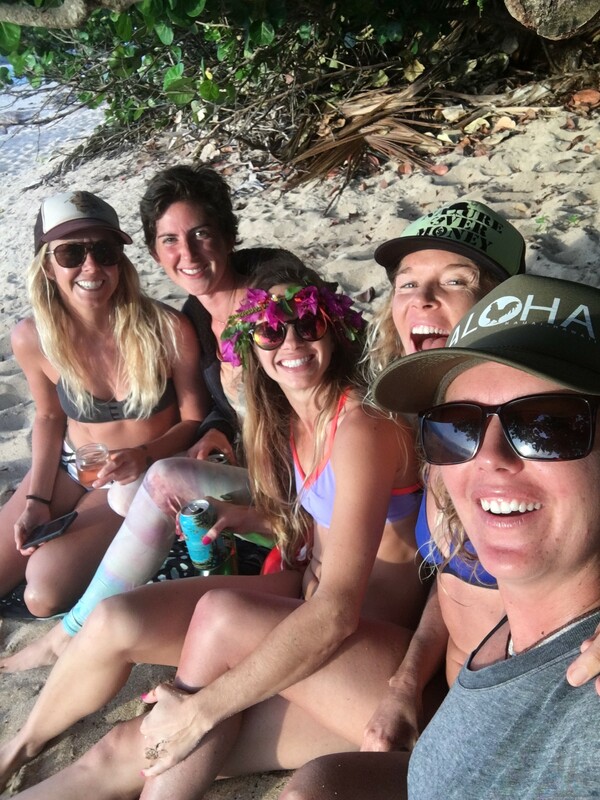 It took a while to track these ladies down and coordinate the events, but meeting each of them and learning their stories more than made up for the time and travel it took to make these events happen! Each of their unique journeys reminded me that all of us have a calling in this lifetime and special opportunity to serve ourselves and the world with our individual desires and talents if we chose to follow our hearts and passions! 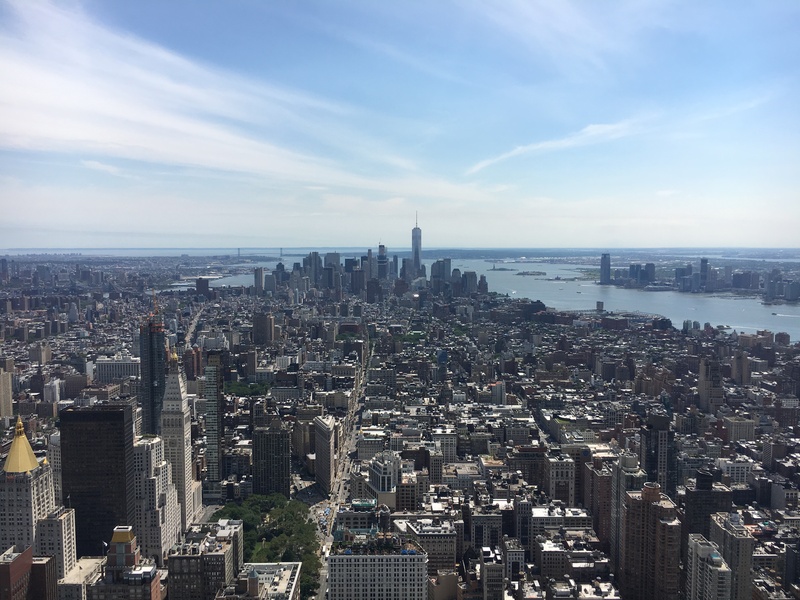 Since there were many people who couldn’t attend an event, I wanted to share the intro speech I gave at the events, some photos, and a bit about each of the amazing women who made these events so special. “Good evening everyone. 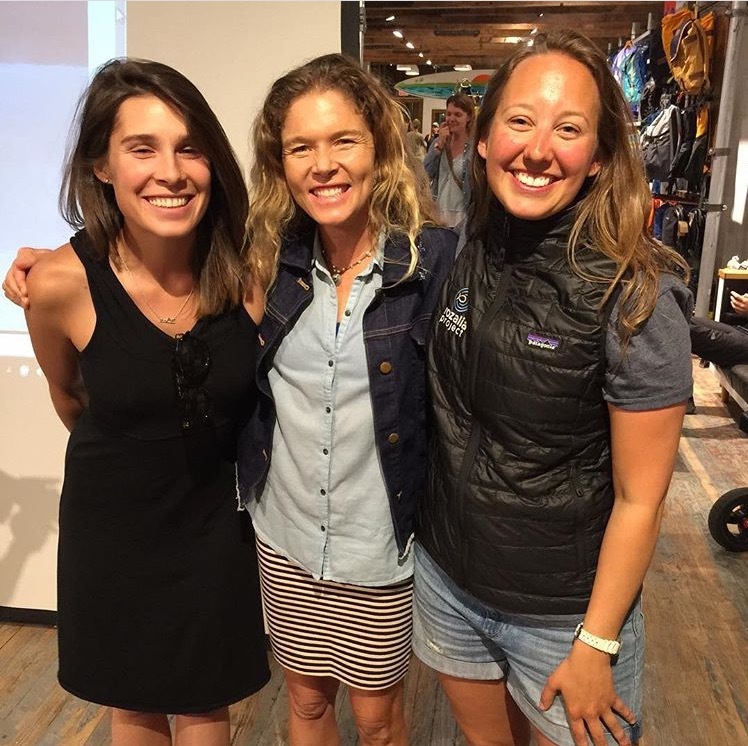 Thank you for your presence tonight, and thank you to Patagonia for hosting this event and supporting my voyaging dream for over 10 years. Tonight is a celebration of choices, especially the ones we make that align with our dreams and values—because we’re fortunate enough to be able to make those choices, and because they expand us into greater and greater versions of ourselves. So tonight is about reminding ourselves of the importance of re-connecting to our inner compasses and making choices that move us towards those moments when we get the feeling that we’re exactly where we’re supposed to be in life. At the start, my surf voyaging dream was self-centered. 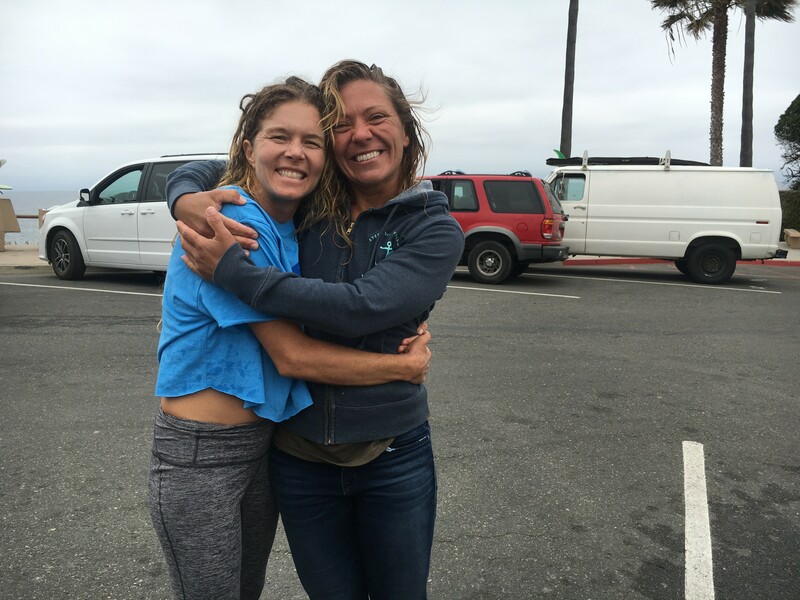 I wanted to surf remote waves without crowds, but living on the ocean, befriending people of other cultures, and depending on strangers in foreign ports gave me a very tangible understanding of how interconnected everything really is. I saw the same small environmental crises happening all over the world and I was frustrated that I couldn’t do more to help. It’s so easy to feel discouraged and overwhelmed and negative about the state of the world today. I decided that the only way that I could guarantee change, was to change myself. So I tried to focus positively on what I could do individually everyday to make a more positive impact on the world. I tried everyday to become a better person, educate myself on the issues, and make more responsible & sustainable choices that reflected my understanding of indivisible nature of our universe. 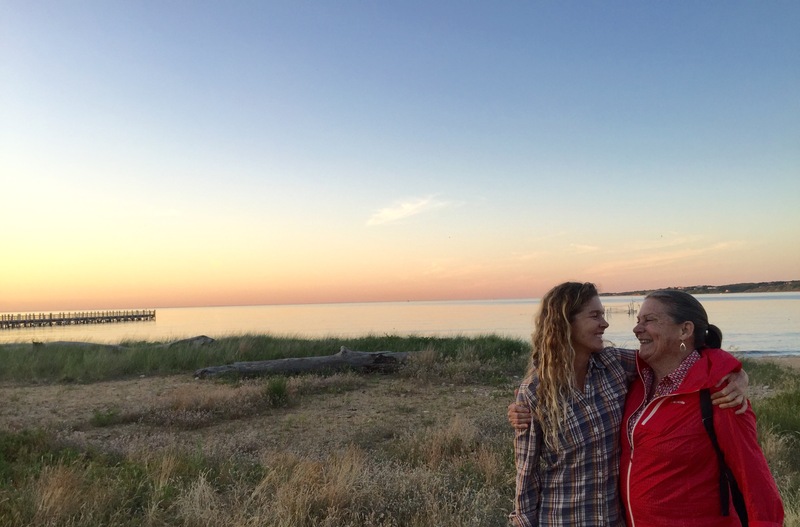 I was really proud when Patagonia asked me to take part in this tour about Women in Activism because I realized that just by changing my individual habits, I was having a significant positive impact on the world. It’s not always easy to make choices from the heart when they go against the norms. It’s easier when you have a support system of people who love and believe in you. I want to give a shout out my family and friends and my network of sisters around the world who make me feel that as long as I keep choosing from the heart, I can’t go wrong. It’s important to surround yourself with people who support your dreams and your happiness, and also to be that person for others. 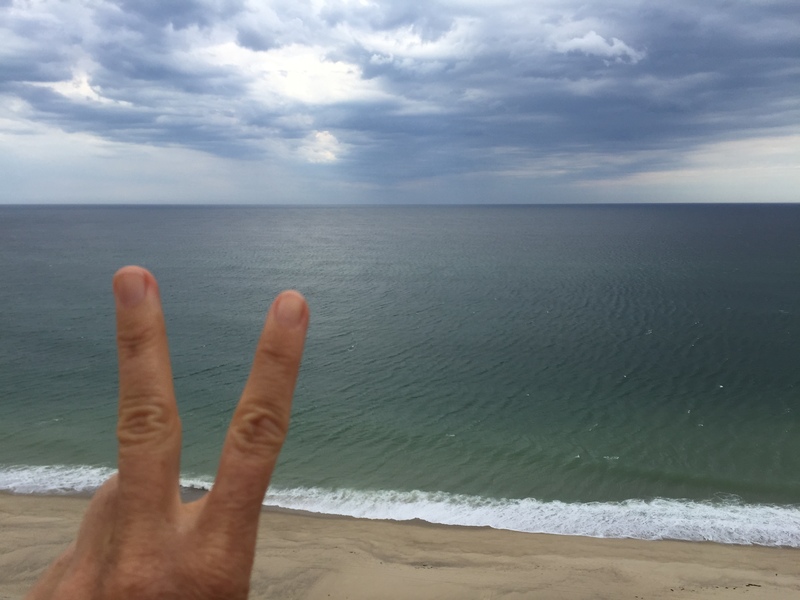 So tonight I want to create a climate of sister & brotherhood—a safe zone—for us all to acknowledge and nurture our true desires, even if they seem selfish in the beginning, because I believe they are leading us to more self-love, connection, a better world, and an understanding that we are truly unlimited when we live from the heartspace. 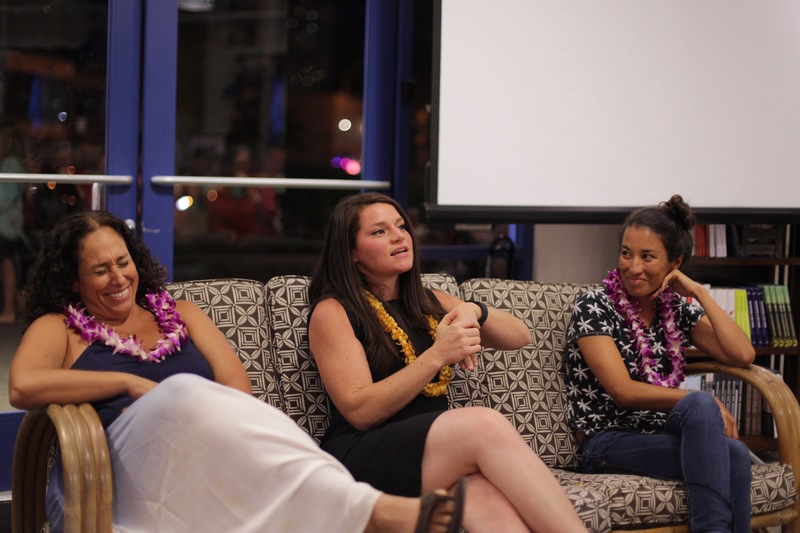 Ashley had us all captivated by her knowledge and leadership of Hawaii’s fight against GMO testing and food system justice. Great capture by Austin Kino! 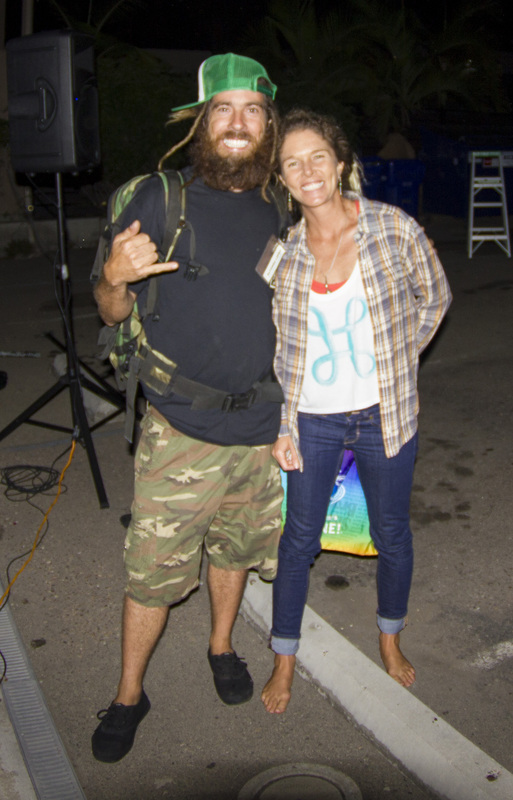 Lauren is native to San Diego but is currently teaching Happy Back Yoga on the North Shore of Oahu. 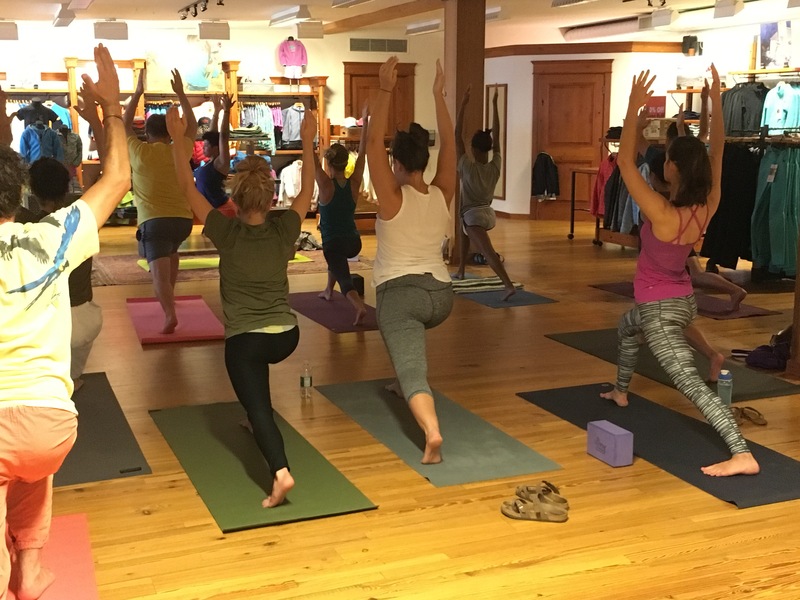 She feels that sharing this form of active therapeutic yoga with the island is her passion and guiding people through healing themselves is her purpose. Her passion for healing and people come through fantastically in her courses. You can check out her workshops and weekly schedule on her Instagram @serenebeing or email for privates serenebeing@gmail.com. 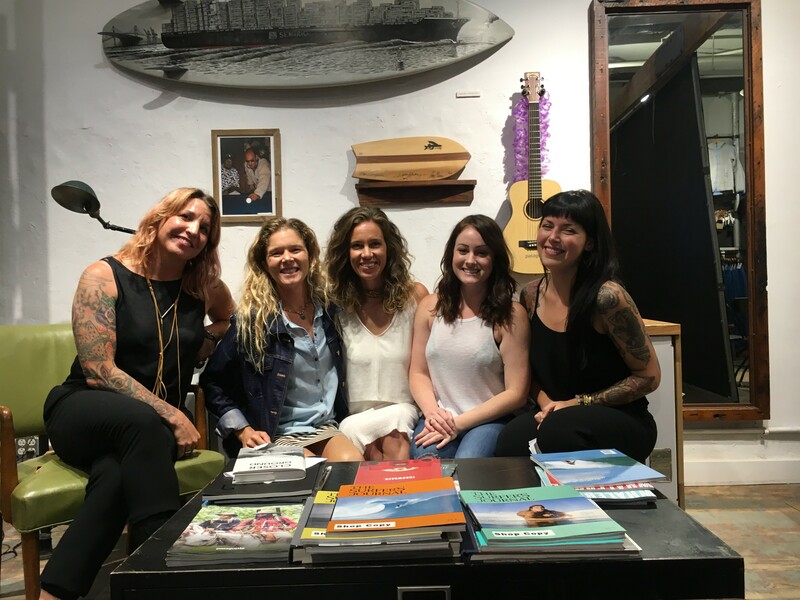 With legends Peggy Oki, Anna Cummins, Shayna Gladstone, and Casey Stroud at Patagonia Santa Monica. 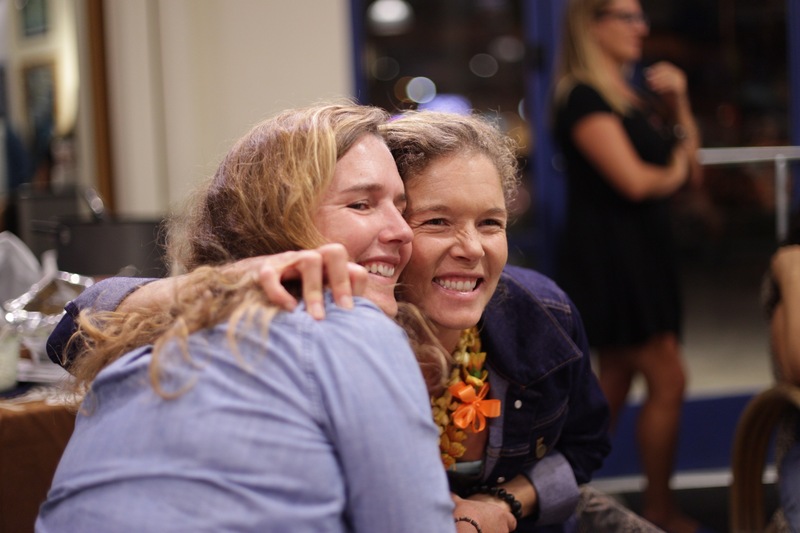 A Santa Monica native, Anna is the Co-Founder and Executive Director of the 5 Gyres Institute. Their mission “S.E.A.” or “Science. Education. Activism.” has led the effort to research aquatic plastic pollution and find solutions for plastic-free oceans. 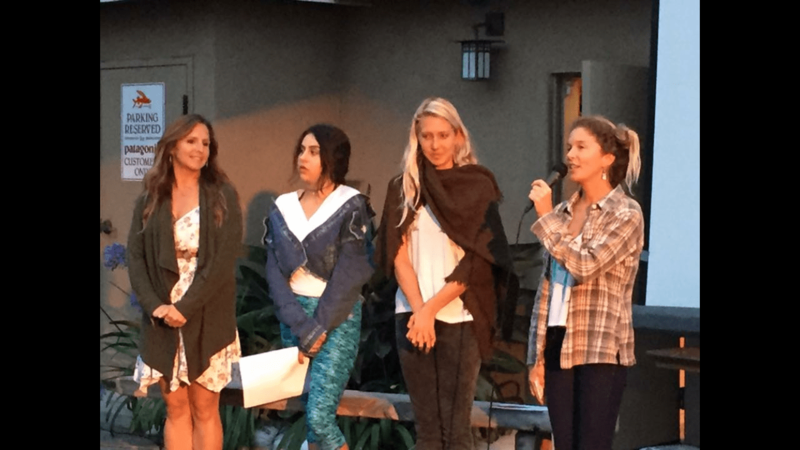 5 Gyres empowers people to become leaders in combating the global health crisis of plastic pollution . They have led 16 ocean research expeditions, succeeded in passing the first ever state microbead legislation, and restoring habitat with international beach clean ups. Follow her work on Instagram @5gyres. Peggy is legendary for her role as one of the primary females in the surfing & skateboarding movement in the 70s in Venice Beach, California. You may remember her part in the film, Dogtown and Z-Boys. 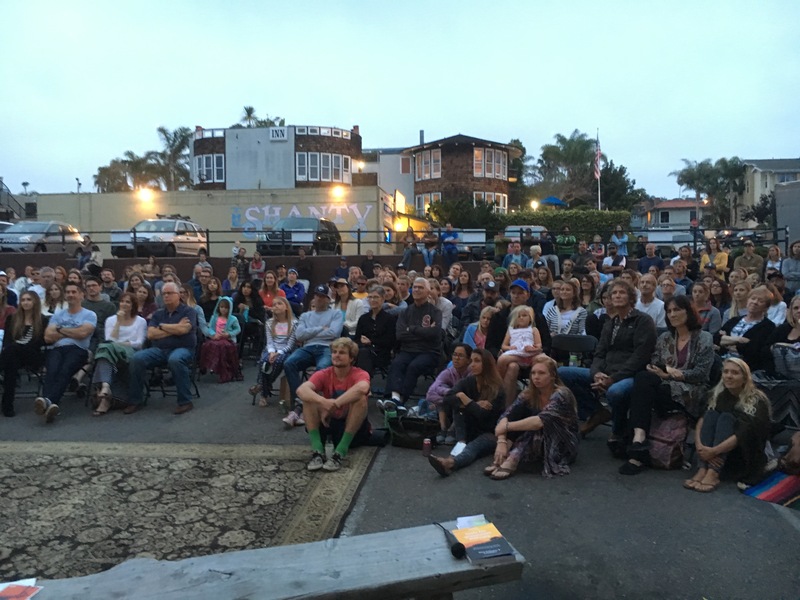 Through her passion for surfing, she fell in love with cetaceans and began painting them. Peggy founded the Origami Whales Project in 2004, combining her love for art and cetaceans. Since 2004, the Origami Whales Project has worked to raise awareness concerning threats to dolphins and whales. She mobilized thousands of concerned citizens across the globe and created a “Curtain of 38,000 Origami Whales”. This large-scale public art project was exhibited throughout the world and served as a powerful visual statement and memorial for the thousands of individual whales killed since the 1986 ban on commercial whaling. 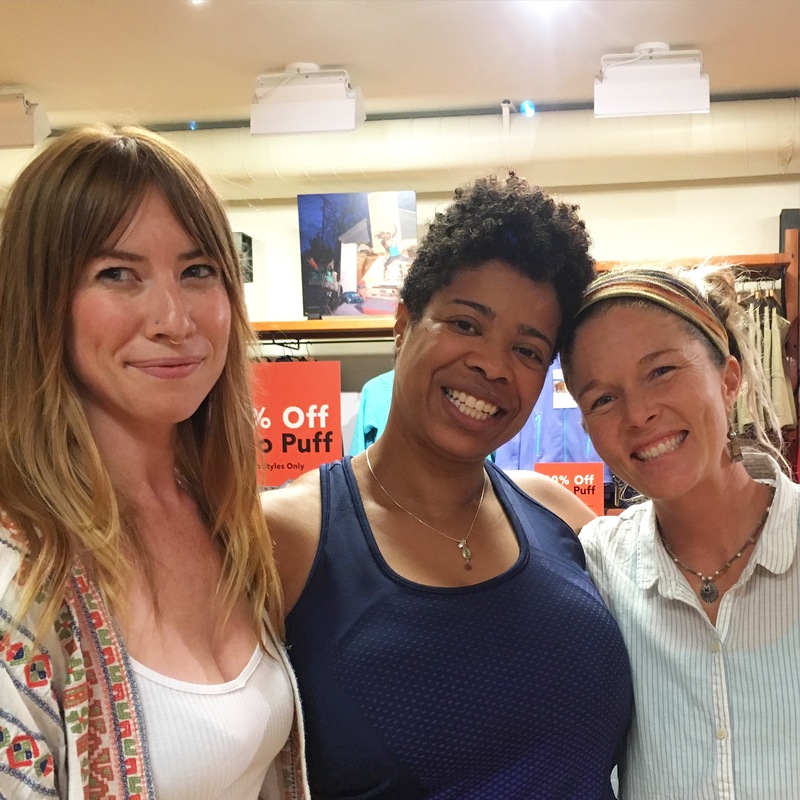 Patagonia Atlanta’s line-up included chef and urban farmer Carolynn Ladd and the fabulous lawyer turned yoga instructor, Charisse Williams. 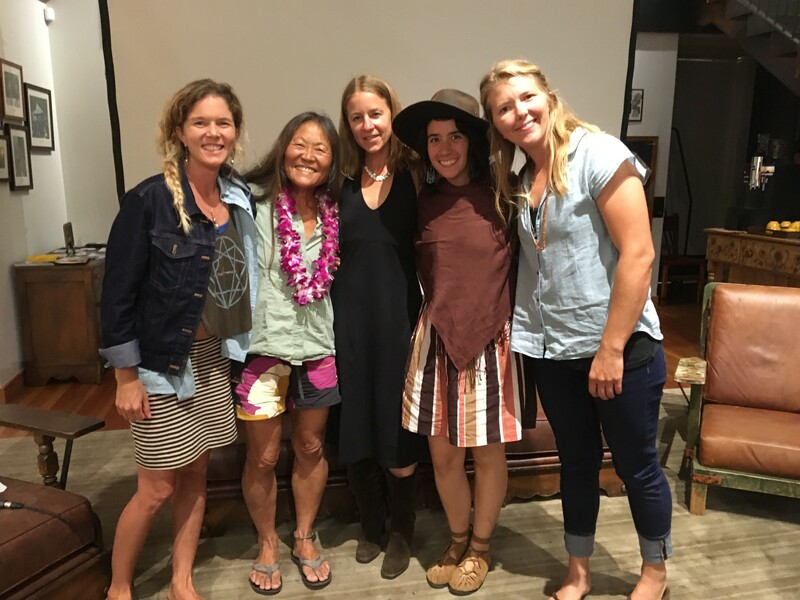 Honored to come together with Patagonia Bowery, NYC’s all-star line-up: Shaney Jo, Debi Spindelman, Caitie Rowe, Alexis Krauss! 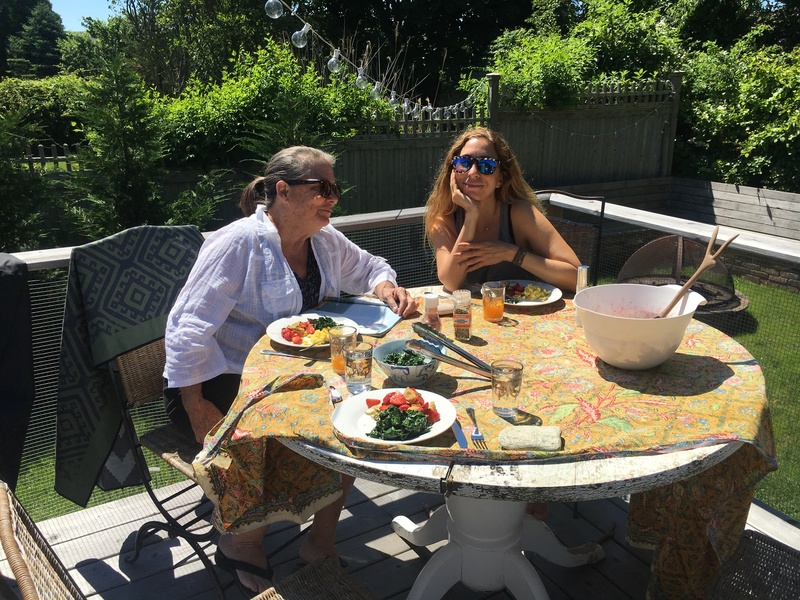 A special thanks to Laura Rubin with Left Left Right Consulting and All Swell Creative (Instagram @allswellcreative) for helping organize the NYC event, and inviting my mom and I for a wonderful weekend at her home in Montauk! Here’s some other great moments from the tour! 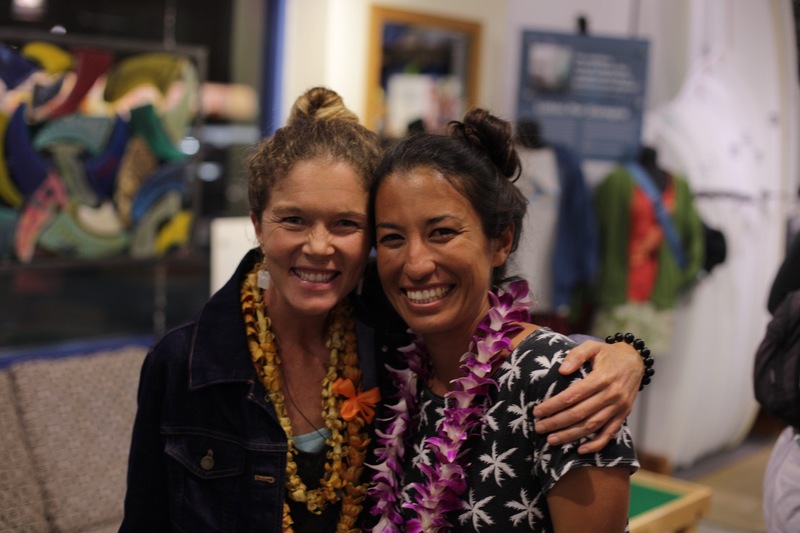 My sister, Kathleen, flew in and showed up halfway through the Honolulu event. So happy to see her!! 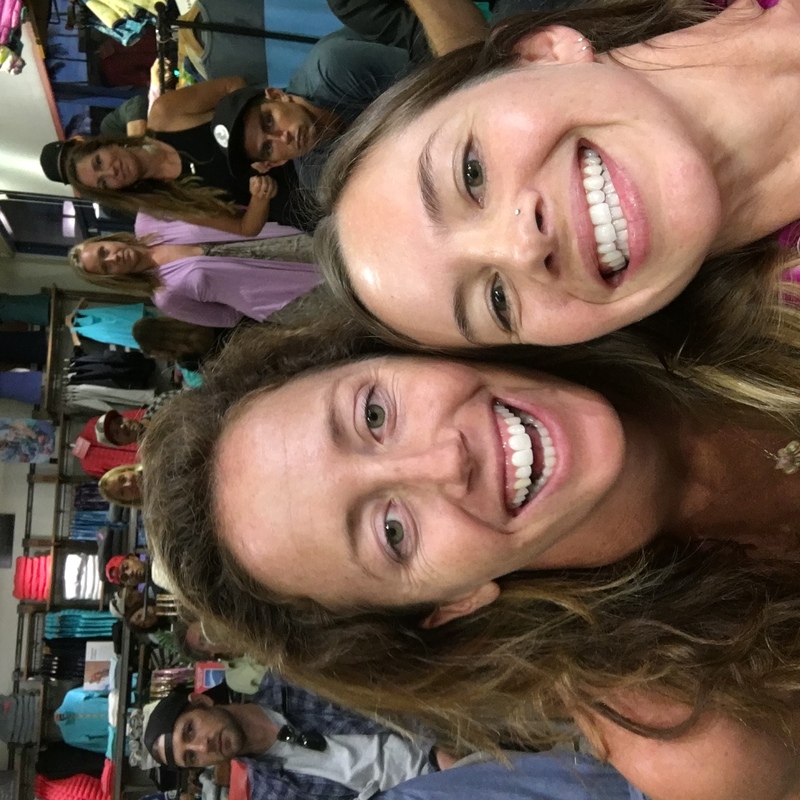 So grateful for sea sister support from Leane and Lolo in Hawaii! 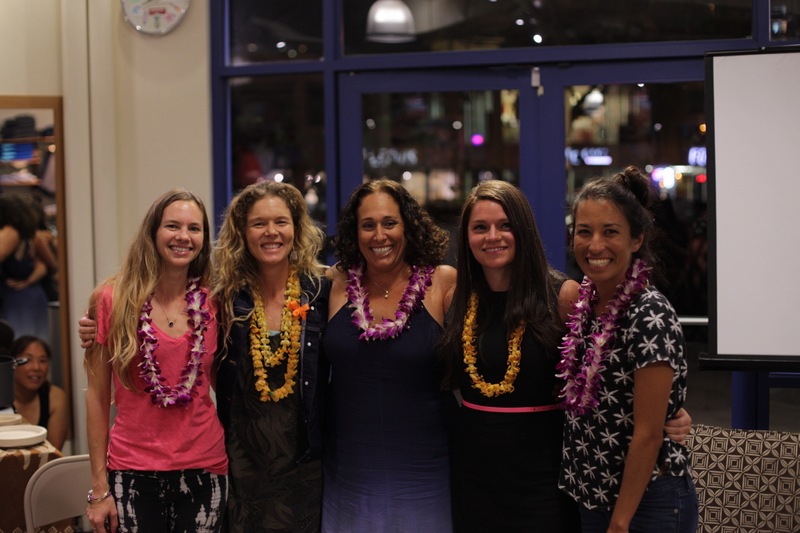 Honored to share the evening with a Hawaiian legend–Haunani Kane–apprentice navigator on the Hokulea, sea level rise expert, and volunteer ocean educator. 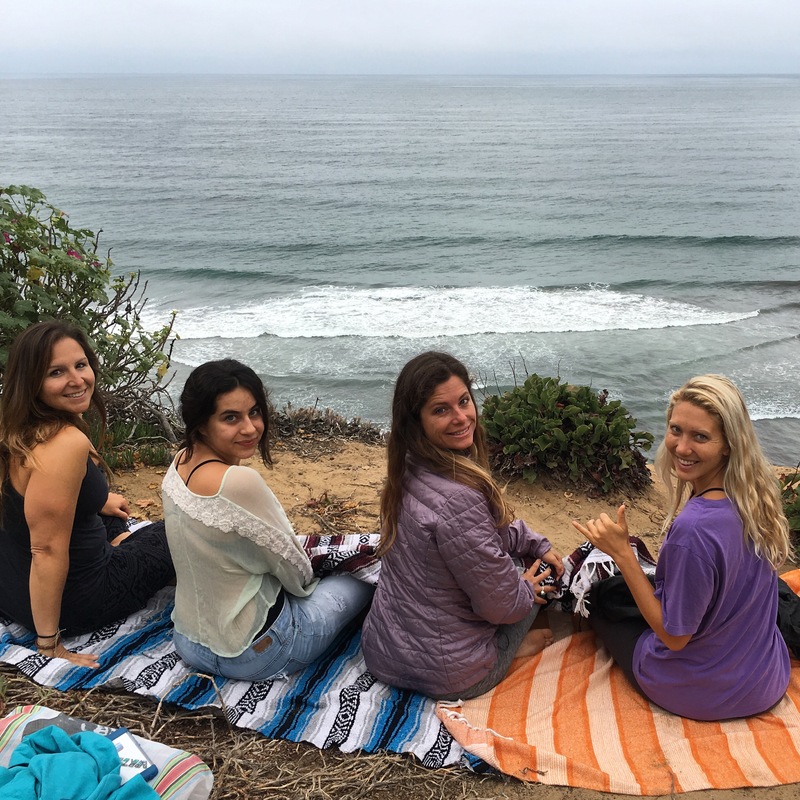 A few days of nature and seasister restoration with these beauties–Mckenzie, Vivian, Lolo & my real sister Kathleen. Mckenz, thank you for flying in to hang for the weekend! Pure love and good vibes, thank you Anna & Leane & Leah for letting us take over the Hen House! 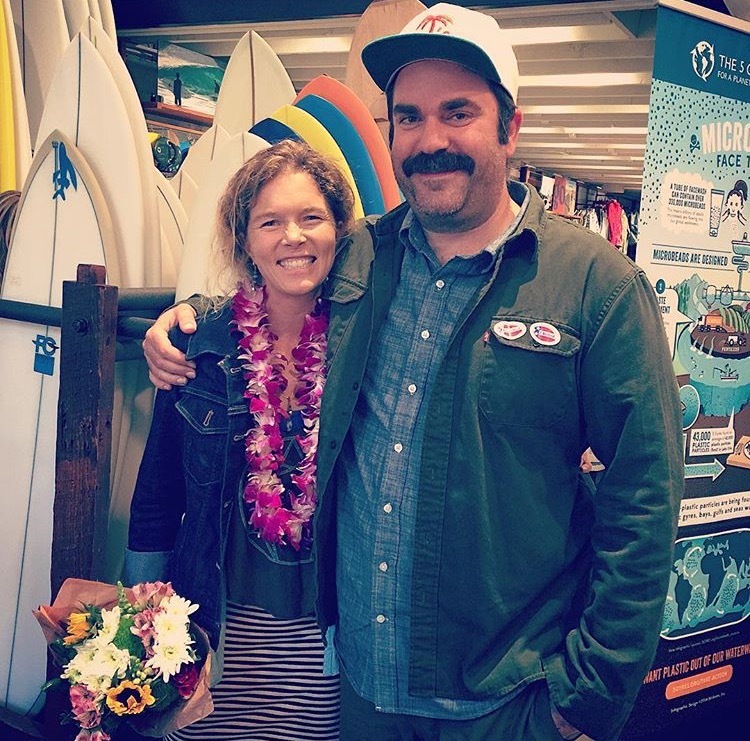 My old friend Ryan Richter showed up to the Patagonia Santa Monica event with flowers and a huge hug. Great to see you Mister Richter! 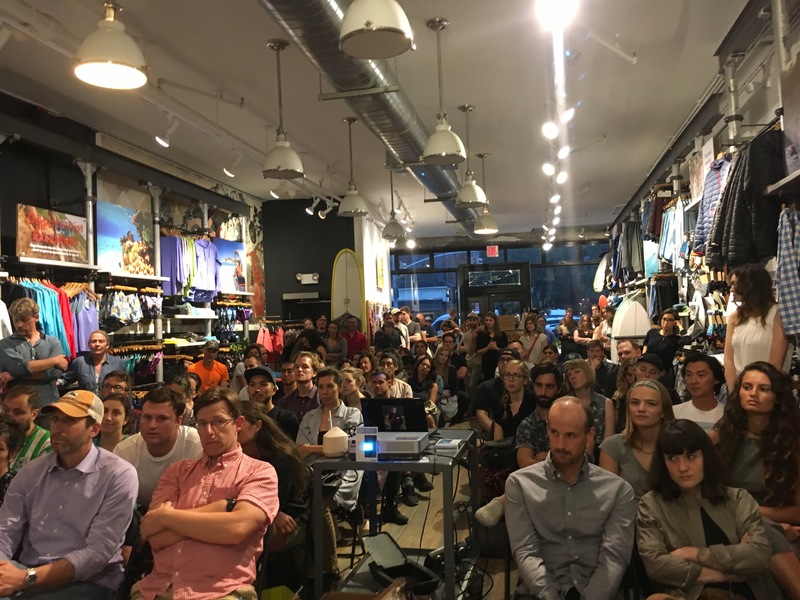 Epic turnout at my home town event at Patagonia Cardiff! Thanks to everyone who cam down it was such an honor to have you all there. 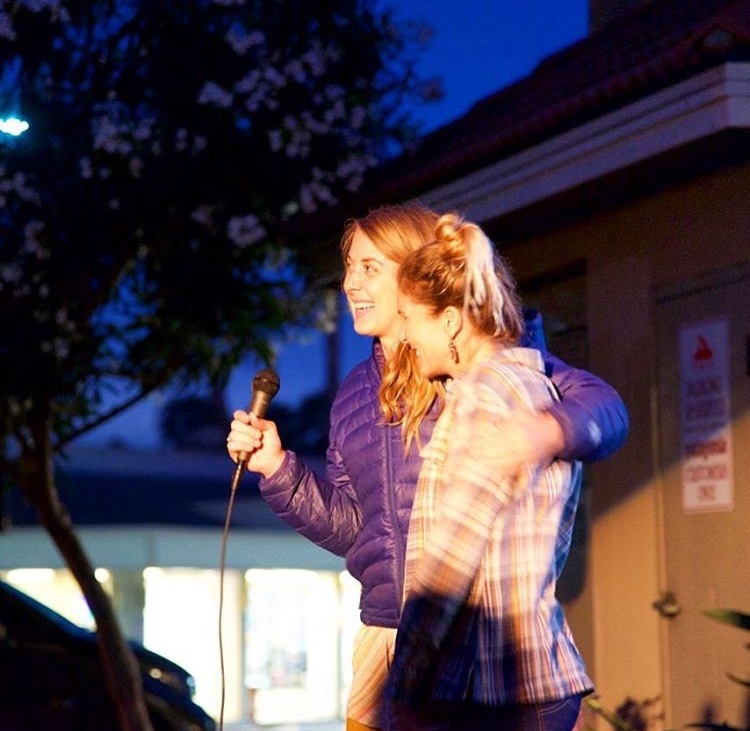 After meeting in a yoga class in San Diego 4 years ago, it was a special honor to collaborate with yogini extraordinaire and beautiful soul, Britta Rael, at the Cardiff event!! Special serendipitous run-in with seasister supporter Yarnie in her Swell Voyage sweatshirt! 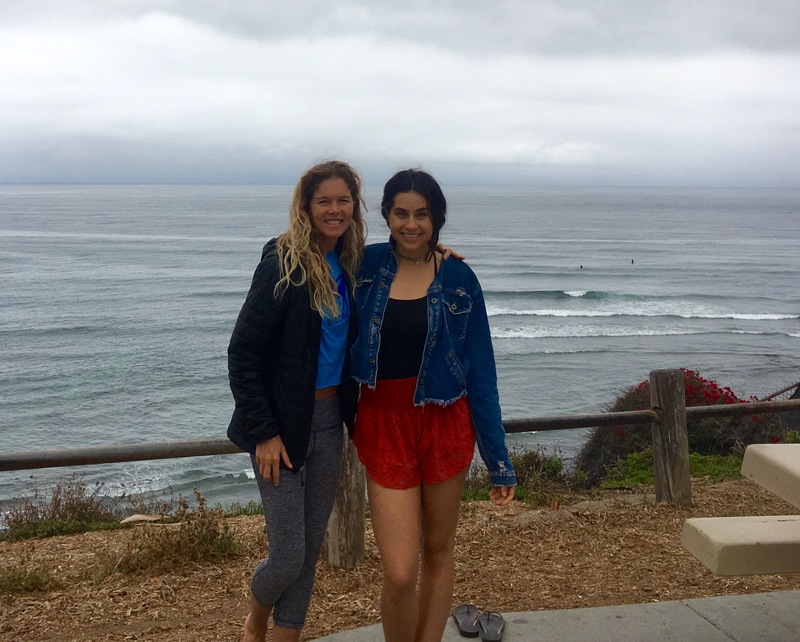 We got a lovely surf together at Swamis! Thanks for the support and good vibes sister! 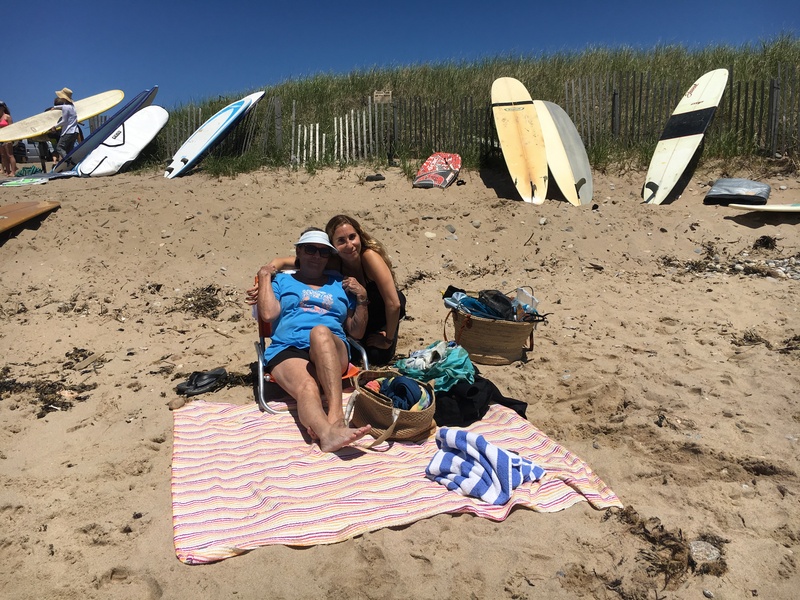 The beautiful and brilliant, Leah Wisner, of 9 for 17 flew out from Laredo Texas to join us for the Cardiff event, and I was stoked to bring her out for her first surf ever this morning! Group yoga at Cardiff!! I see you Squirrel Girl. 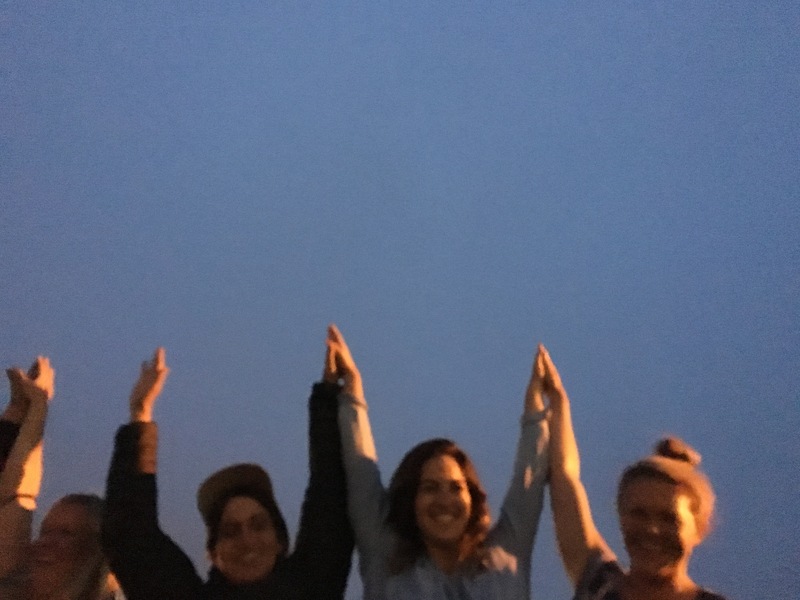 After talking with Emi and Leah until 3 in the morning in our hotel room after the event, we met up with Becky and Anna the next morning for a few awesome rounds of Wim Hof breathing and meditation overlooking the sea! I hadn’t seen Emi in almost 3 years!? So stoked to catch up with Alfonso Lopez of Ocean Force Foundation at the Cardiff event! 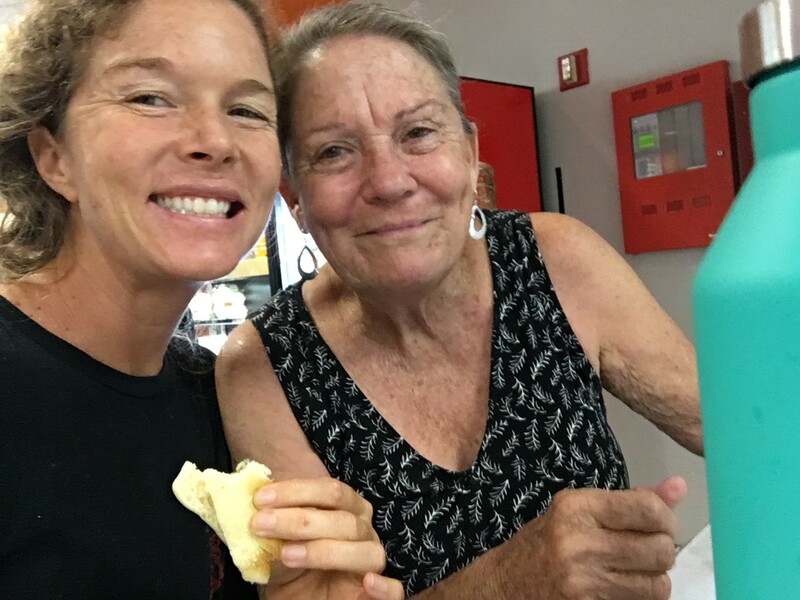 Mom joins me on the tour on her birthday and we’re off to Atlanta and NYC! 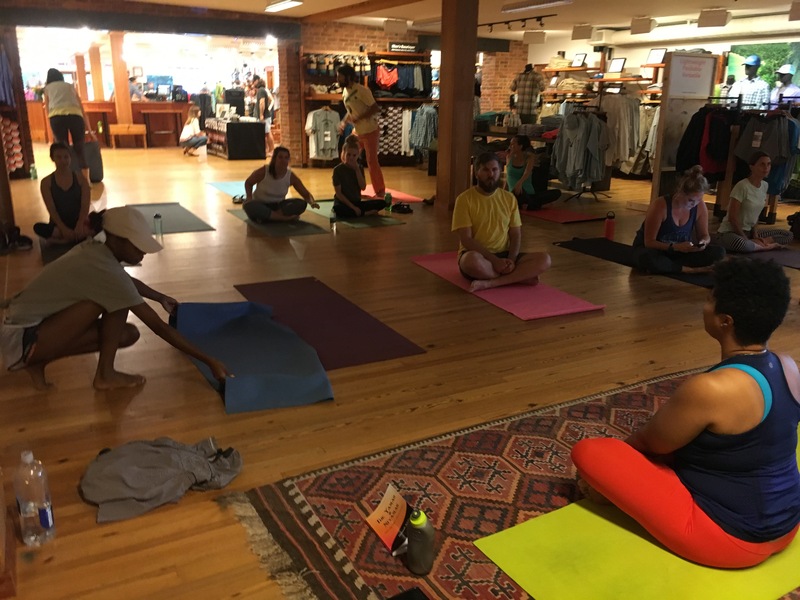 Pre-event yoga with Charisse Williams in Atlanta was wonderful!! Yoga with Charisse made me so relaxed and confident for that event! 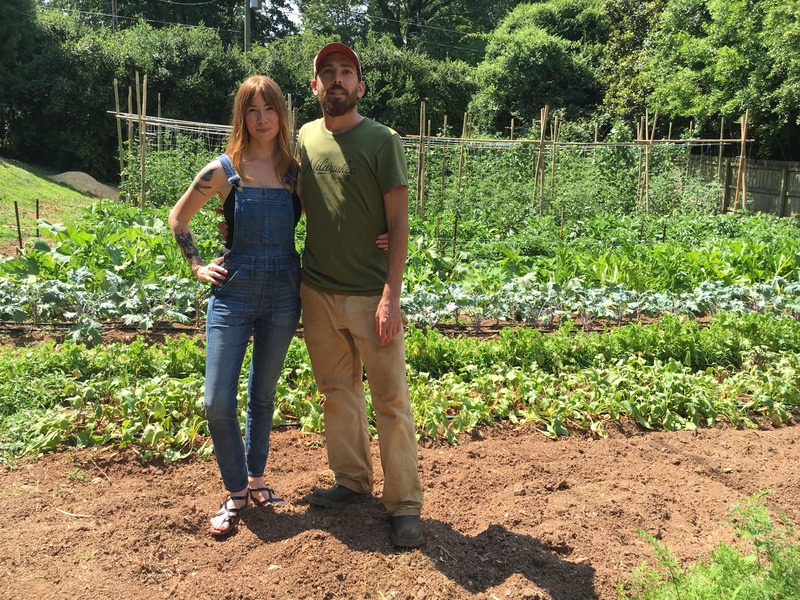 I got to visit Freewheel Farms in Atlanta where Carolynn gets all her chef supplies from her boyfriend Brent’s two urban farms that grow beautiful organic food and get it in low-income neighborhood shops where fresh organic produce is often scarce. 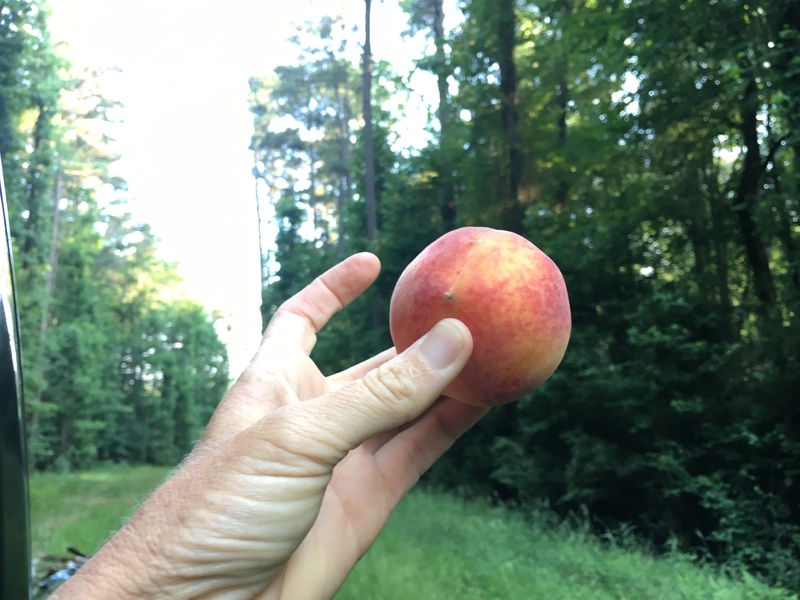 Carolynn took me to an incredible secret swimming hole with a Georgia peach to savor along the way! Alexis, lead singer of Sleigh Bells, informing us about the dangerous ingredients in so many commons beauty products today. Check out Beautyliestruth.com! 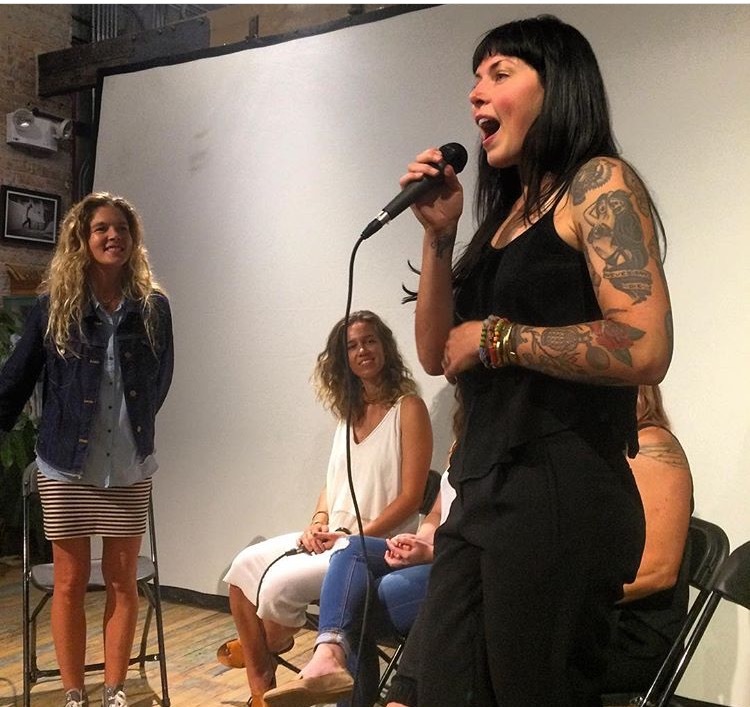 Shaney Jo, founder of keep a Breast and Non Toxic Revolution on the mic! Wonderful to meet these fabulous passion pursuers in person! 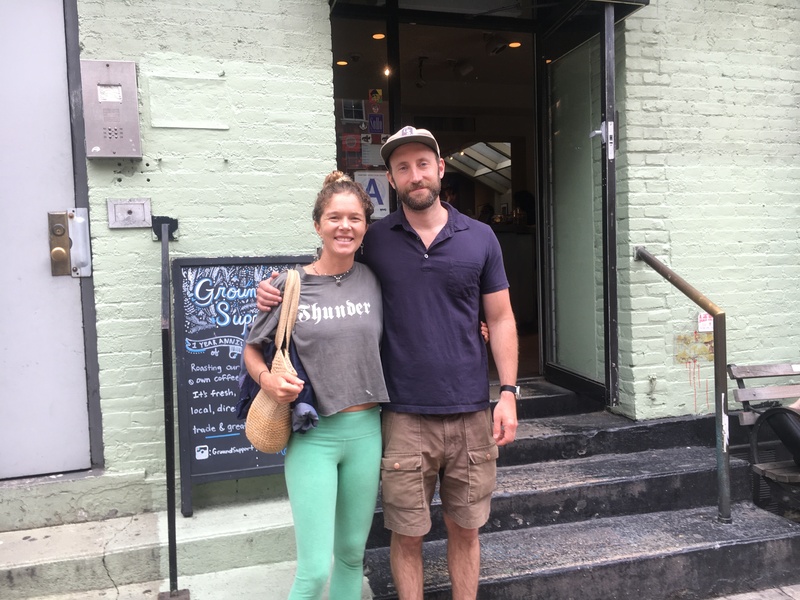 Epic breakfast visit with Steven Sadoff, longtime Swell Voyage supporter, at his delicious and popular coffee stop, Ground Support in the SoHo district of NYC. Such an amazing time with Mom in NYC! Blown away by the all the expressive energy and creativity of this wild area of human congregation! 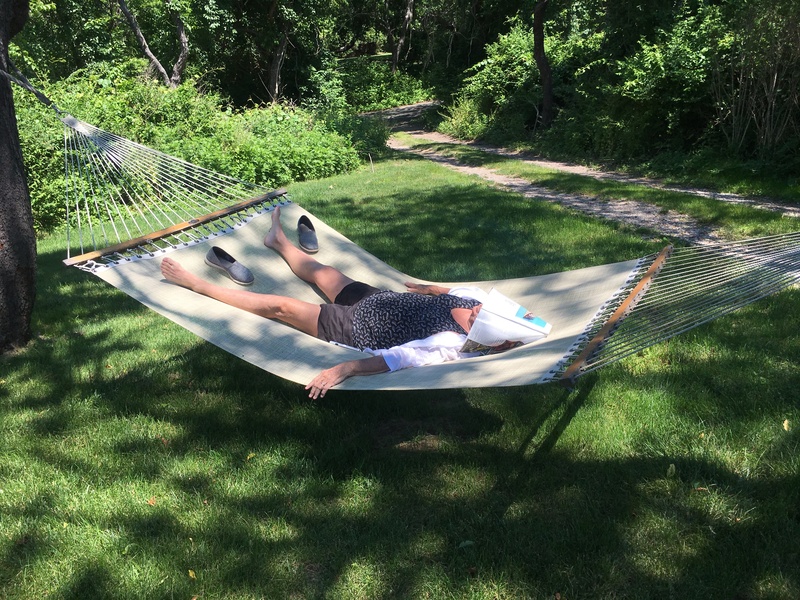 Lucky to be invited out for some rest and relaxation after the tour with my friend Laura in Montauk! And a little ray catching and wave sliding too! 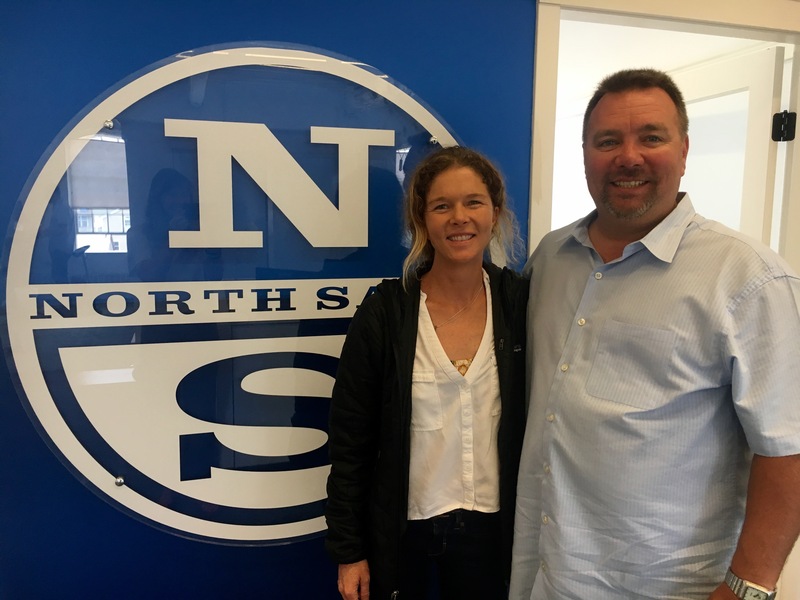 Then hopped a few trains to Rhode Island to meet up with North Sails for a possible collaboration about upcycling sails and making new sails for Swell! Thank you for everything Bill and Kenny! And then off for some more unforgettable moments with mom to fulfill her east coast dreams!! Grateful and blessed for all the beautiful people, experiences, and learning that were part of this tour. More from Swell and the South Seas soon! You continue to inspire! What life empowering blessings and positive messages you and your friends continue to send Into the world! Thanks to all of you! I continue to follow your shared journey and truly appreciate your caring enough to enlighten, empower, and spread awareness. P.S. I share your, “A Better World: What We CAN Do” with all of my high school classes and diligently practice them, as well. You continue to inspire! Thanks to you and all your friends for living lives that share blessings and spread positive, life changing efforts that better our planet and all its inhabitants, I share your, “A Better World: What We CAN Do” with all of my high school classes and try to get them to think about our world and how important of an impact that each one of us can have, and the responsibility that we have to all creatures to be the best human we can be. Thanks for sharing your journey and for writing about things that enlighten.